The Second step in creating a stacking plan is creating the floor layout of your property. From your list of properties, choose Floors & Suites from the property you are working with. You will be redirected to a page where your can manage floors and suites of your property. 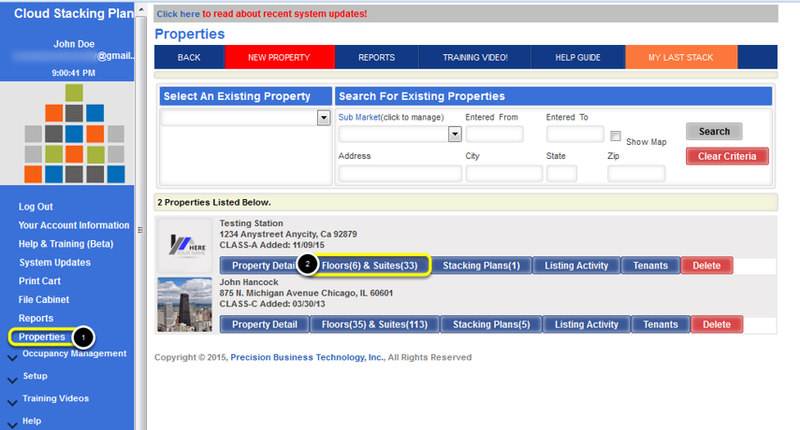 To add a floor to your property, simply complete the information under the heading for adding floors, then click ADD. You will see your new floor entered in the list below as well as a number of suite profiles based on the number of suites you entered for the floor. 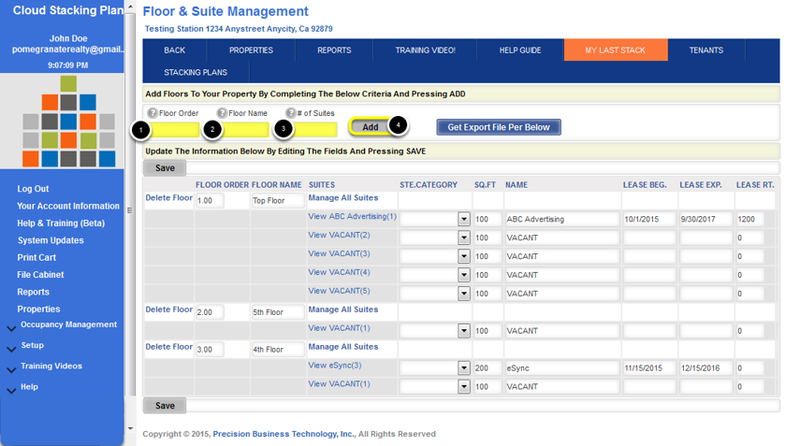 To edit an existing floor, within the list of floors you will see that you can place your cursor in the fields. Edit the information then press SAVE at either the top of the list or the bottom of the list. You can also delete a floor by clicking the Delete Floor link, but be advised that this will also delete any suites associated with this floor, which will also alter any existing stacking plans for this property. * You can also delete a floor, simply by clicking Delete Floor to the left of the line for the appropriately selected Floor. Although, be advised that this will also delete any suites associated with this floor, which will also alter any existing stacking plans for this property.